We’ve all known that we exist in a universe full of other things that we seemingly know nothing about. That being said, the more we find the more we begin to realize just how vulnerable we are. 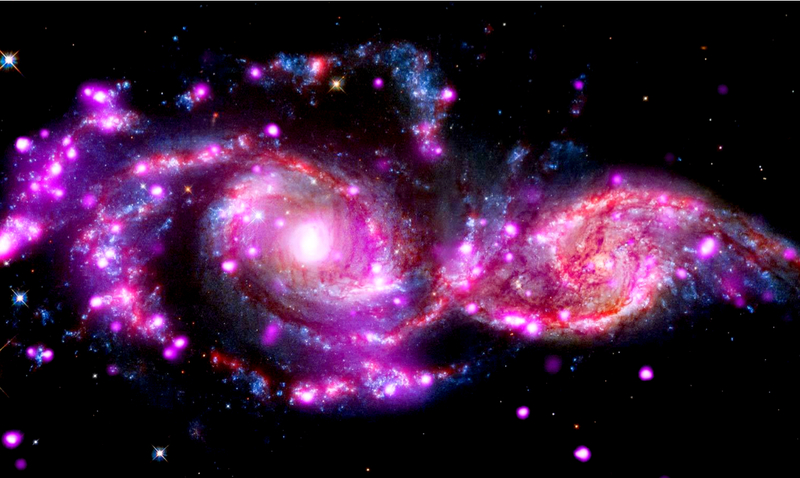 Recent research seems to support the idea that the Milky Way itself is headed for a very big collision. This collision being something that could literally impact our planet. That being said, it won’t be occurring until about 2 billion more years have passed, and so we will all have passed by then and humanity in itself might not even be present at that point depending on how things progress in the current world we live in. You see, a satellite galaxy known as the Large Magellanic Cloud (LCM) while currently moving away from our galaxy will eventually collide with our galaxy as it comes back around. This being something that could throw our solar system off-kilter and into space depending on how it plays out. This would wake up the supermassive black hole sitting within our galaxy and catastrophe would be inevitable. The catastrophic coming together with the Large Magellanic Cloud could wake up our galaxy’s dormant black hole, which would begin devouring surrounding gas and increase in size by up to ten times. As it feeds, the now-active black hole would throw out high-energy radiation and while these cosmic fireworks are unlikely to affect life on Earth, the scientists say there is a small chance that the initial collision could send our Solar System hurtling into space. Galaxies like our own Milky Way are surrounded by a group of smaller satellite galaxies that orbit around them, in a similar way to how bees move around a hive. Typically, these satellite galaxies have a quiet life and orbit around their hosts for many billions of years. However, from time to time, they sink to the center, collide and are devoured by their host galaxy. The Large Magellanic Cloud is the brightest satellite galaxy of the Milky Way and only entered our neighborhood about 1.5 billion years ago. It sits about 163,000 light years from the Milky Way. Until recently astronomers thought that it would either orbit the Milky Way for many billions of years or, since it moves so fast, escapes from our galaxy’s gravitational pull. However, recent measurements indicate that the Large Magellanic Cloud has nearly twice as much dark matter than previously thought. The researchers say that since it has a larger than expected mass, the Large Magellanic Cloud is rapidly losing energy and is doomed to collide with our galaxy. These findings came from Durham University and according to the lead author will wreak havoc within our galaxy. The collision in itself would be quite the sight regarding the sky and all we see but in the grand scheme of things potentially losing our home planet doesn’t outweigh the nice visuals we may obtain.